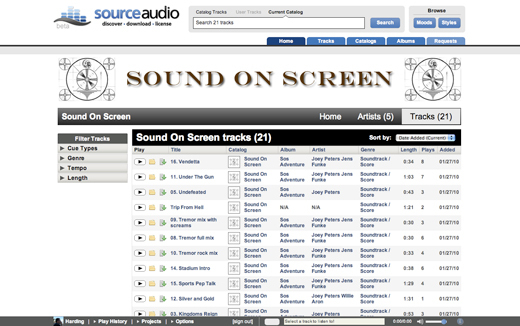 As the 17th music representative to join the site, Sound On Screen recently added 51 tracks to the sourceaudio.com general music aggregation website. These scores have a lot of big drums, dark sounds, and epic swells. Listen now.